2. 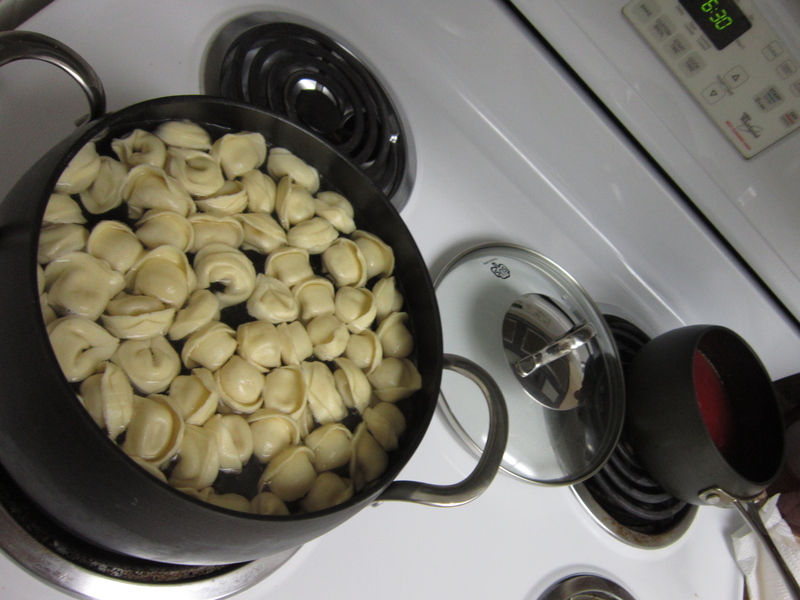 You have to warm the sauce before you pour it over the pasta. Good thing Mom answered when I called back to ask how one should go about warming pasta sauce. Otherwise the whole dinner might have ended in disaster. I am a 30-something English teacher living in the Midwest who loves books, television, soccer, a good conversation, Cardinals baseball, and playing with my adorable nieces and nephews. This entry was posted in Daily Photo, Ms. Adventures in a Klutzy Kitchen and tagged Cooking, Daily Photo, Food, Mom. Bookmark the permalink. Greg suggested you buy a jar of Pesto Sauce- you don’t have to heat it. I had to point out to him that you’re violently allergic to all things green that don’t come in cereal boxes. I might have to make pesto the second exception to the rule along with green Skittles. Also – what cereal have you been eating that’s green?? Thanks! Pretty sure any artistry was accidental.